This example shows how to solve a nonlinear filter design problem using a minimax optimization algorithm, fminimax, in Optimization Toolbox™. Note that to run this example you must have the Signal Processing Toolbox™ installed. 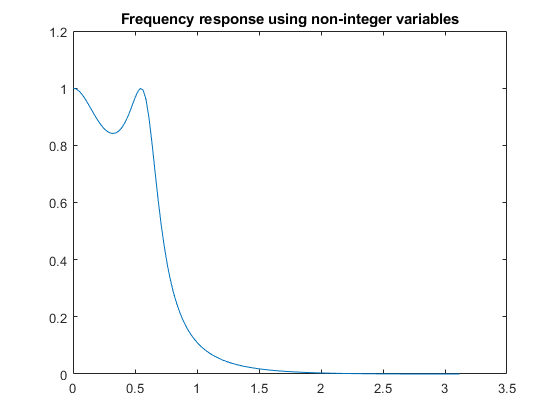 Consider an example for the design of finite precision filters. For this, you need to specify not only the filter design parameters such as the cut-off frequency and number of coefficients, but also how many bits are available since the design is in finite precision. 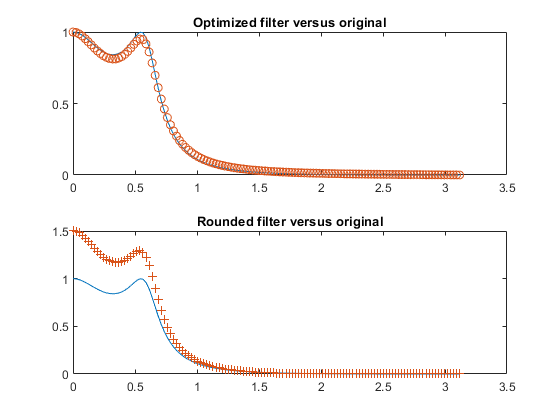 Set the biggest value equal to maxbin and scale other filter coefficients appropriately. % from the list of values that can be changed. Performing 6 stages of optimization. See if nearby values produce a better filter.